We are a continuing education company independently owned and operated by a nurse practitioner. We pride ourselves in providing interactive, "hands-on" nationally approved continuing education courses to nurse practitioners and physician assistants. Our courses are informative, skills based workshops- we accept no sponsors. We provide a formal presentation of anatomical review, multiple injection techniques for each site discussed-pros & cons for each and hands on practice of techniques using joint injection mannequins- that will indicate when the needle tip is in correct location. Our goal is to help you learn techniques to provide better patient care and improve your marketability. Advanced Practice Education Services, LLC is independently owned and operated by Andy Austin FNP-C.
Andy Austin is a graduate from Grambling State University (MSN) as a Family Nurse Practitioner. He is a Credentialed Fellow by the American Academy of Pain Management and currently working in an interventional pain management practice. His undergraduate degrees are from University of Louisiana at Monroe (BSN) and Louisiana Tech University (AD). Areas of clinical experience: Interventional Pain Management, Orthopedics, Neurology and Emergency/Critical Care. 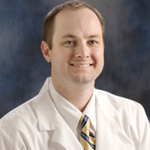 He is a member of Louisiana Association of Nurse Practitioners, Texas Nurse Practitioner Association, American Academy of Pain Management and Southern Pain Society. Over 50 years of combined experience practicing as Nurse Practitioners. We are extremely proud of the members of our Speakers Bureau as each was selected for their unique blend of vast clinical experience performing these procedures and teaching. Our speakers are a clinicians first with extensive knowledge in these procedures and have completed our in-person Speaker training program. Starting in 2008, Advanced Practice Education Services, LLC has grown to become a leader in interactive, hands on medical procedure courses. Hundreds of NPs, PAs and MDs from across the country have attended our CE courses. Designed computer animation to display cross sectional abscess I&D procedure and tissue healing by granulation. Contracted by Forbes® magazine Global 500 Companies to create company specific medical procedure courses. Other customers include Medical Simulation Laboratories for some of the top US Medical Schools.